“Picky” eaters are among us, many parents have at least one child that they struggle with at meal times. 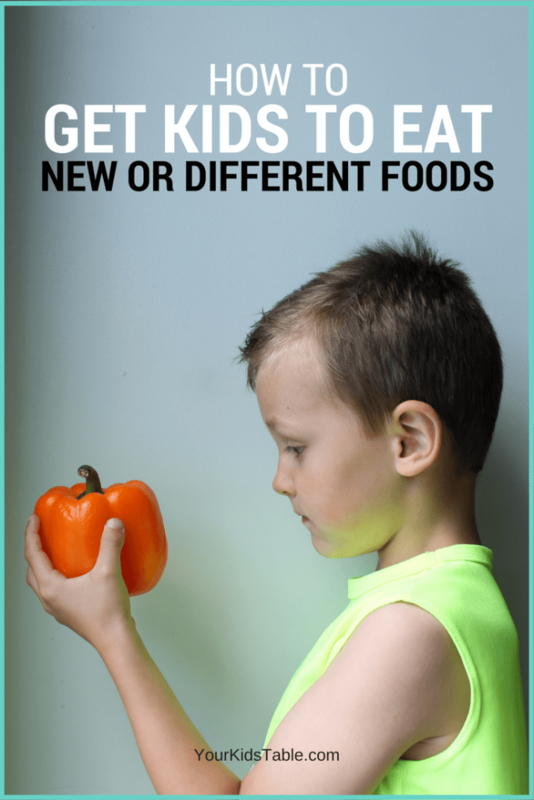 “Picky” eaters rarely try new foods, sticking only to a few tried and true favorites. What’s a parent to do? Do you just serve grilled cheese at every meal and beg for a bite of broccoli? 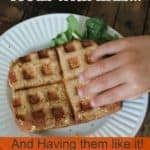 How do you get kids to even consider trying a new food? It is challenging, to say the least! Generally, the first step is to get your child to look at or touch the food. Start there and be creative. You might say something like, “I have a forest growing on my plate” (stand up little pieces of broccoli). 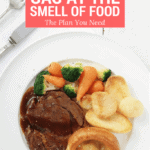 Or, if they already touched it, maybe you can get them to smell it, which will help them get it closer their face (that’s a big step for a “picky eater”). In this case, you could say, “Wow, my broccoli looks like a bouquet of flowers. I am going to smell my flowers. (You are waiting for them imitate)” From there you can move onto licking, tasting a small bite, and taking a normal bite. Also, give them permission to discreetly spit it out. I know, it’s gross and not very polite, but they may be more likely to try a bite if they know they can get rid of it if it tastes bad to them. I haven’t had any kid I work with get inappropriate with spitting it out. I don’t make a big deal about it and they move past it as they get more comfortable with the food. Remember the key here is to have them be interested in what you are doing and imitate the action. It IS PROGRESS if they do something new with the food even if they don’t eat it! If they don’t follow your lead try something easier. You will want to follow this general progression, and not move onto something harder until they have demonstrated they can handle that: looking, touching, holding, moving food towards face, touching face with food, smelling, kissing, holding in teeth, taking small bites and spitting out, eating. It is very important that you don’t use these tasks as rewards or a checklist for them. This progression is something you use with play and exploration. When Should You Try New or Refused Foods? Be patient. Don’t expect miracles after 10 minutes, an hour, or even a week. I have been there with my own kid and this may be the hardest part. It takes time, patience, and consistency. If you need some inspiration and strategies head to dealing with picky eaters. Keep the pressure off. The goal isn’t eating when you are exploring new foods, just play, and if they happen to eat it — bonus! 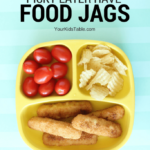 Read more about this important picky eating tip here. I strongly believe in using play to explore new foods because it gives kids a chance to become more comfortable with foods they have no, little, or bad experiences with. However, it is often only one component of overcoming picky eating, especially for extreme picky eaters. 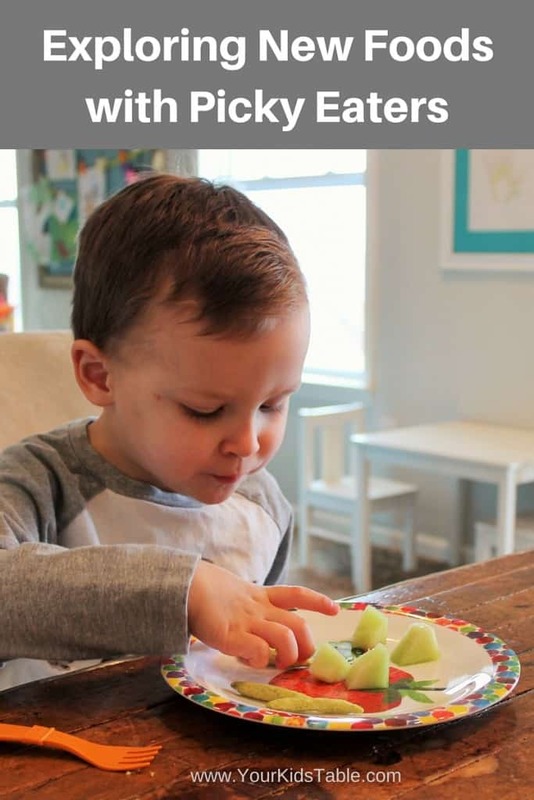 To learn more about what you can start doing today to help your child eat better, get a seat in my free workshop: 3 Keys to Turn Around Picky Eating! It could change everything, you won’t want to miss it. Sign up here. Any tips on a 2 year old who won’t eat any meat? Or vegetables? Do you have any tips for my 2 year old that refuses oatmeal, porridges etc from a spoon and bowl but will have it in a sippy cup? That’s really interesting! I’d start serving it both ways at the same time and offer every other day or even daily. Keep offering and trying. I’m wondering if there’s a sensory component going on. Do you have any suggestions for a toddler who shoves a lot of food into their mouth at once? We can only give him 1 piece at a time. If we do 2, 3, etc., he’ll put everything on the tray in his mouth as fast as he can! Sometimes he’ll choke, and sometime he is able to chew/swallow is not issues. I want to get him to try new things, but if that’s the only ‘bite’ on the tray he’ll pick it up, swing his hand to the side of the tray, and let it go to drop on the floor. This can be common at this age, I’d try giving him a couple of pieces at a time and sitting right across from him with your full attention, if he tries to throw a piece, bring his arm back and say food stays on the tray. This will take a lot of practice and can get exhausting, but the consistency will pay off.